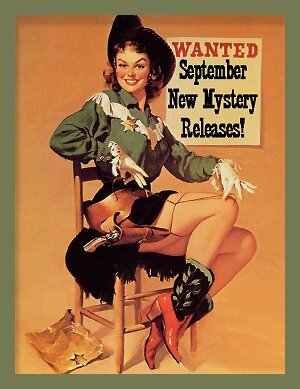 September 2017 New Mystery Releases! I've already been bemoaning the fact that summer is almost over, so I'll do one of the best things I can do to take my mind off that unwelcome fact: talk books. Those of you who've been following me for a while know that I've had a largely unsuccessful time reading Agatha Christie (or any Golden Age mystery writer), but it's not for lack of trying. Well, I think I've finally cracked Agatha Christie. I just can't get into her full-length novels, but I've been enjoying a selection of her Miss Marple short stories. I knew I'd find a way in! 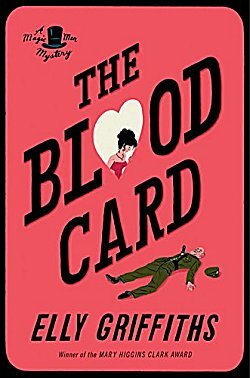 Now it's time to stop patting myself on the back and begin sharing my picks of the new crime fiction being released throughout the month of September. I've listed them according to release date, and book synopses are courtesy of Amazon. Let's get started! Series: #1 in the Countess of Prague historical series set in Europe during the years leading up to World War I.
Synopsis: "The Countess of Prague is the wonderfully exciting introduction to Beatrice von Falklenburg, known to her intimates as Trixie, who will lead us from Prague through Europe and occasionally beyond on a ten-book set of investigations that begins in 1904 and finishes in 1914. The assassination of the Archduke in Sarajevo that summer effectively ended the Old Europe into which she was born to a noble Czech father and an English mother. Through the lens of Trixie, whose own journey from pampered aristocrat (albeit in a polite and impoverished marriage) to a degree of emancipation has an exciting yet humorous and sympathetic dynamic, we witness stirring events and societal shifts. Trixie begins her new career at 28. She's leading a society life and growing apart from her husband although she is as yet too conventional to take a lover. 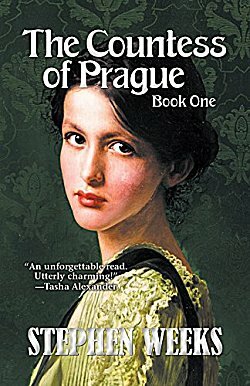 When the brutalized body of an old man once under the command of her military uncle is fished from the Vltava, she takes to the role of a detective and finds solace in it, mixing with ease with kings and princes, but never losing touch with ordinary men and women with whom her new role often puts her in contact. Investigating alters the formality of her relations with her servants and with public officials as we see when she encounters her butler in an unexpected role (and place) and then goes undercover (as a young man) on a train journey to Paris and London. 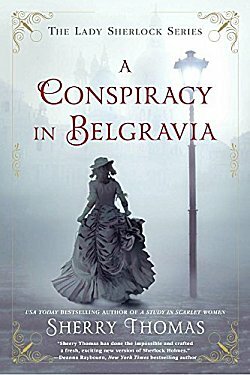 Eventually, liaising with various officials, she arrives at Marienbad, the famous Czech spa, where Edward VII of England and his nephew Kaiser Wilhelm have staged a surprising May meeting....and it is here that the mystery unfolds." 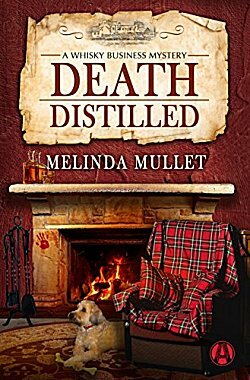 Series: #2 in the Whisky Business amateur sleuth series set near Stirling, Scotland. Synopsis: "It’s been three months since Abi Logan last checked in on Abbey Glen, the celebrated whisky distillery she inherited. With her oversize wheaten terrier, Liam, by her side, Abi returns to the quaint Scottish village of Balfour. But her relaxing Highland homecoming takes a stressful turn when she unearths an unseemly bit of village history, welcomes a group of Japanese whisky enthusiasts, and becomes shepherdess to an unexpected flock of sheep—all within the first twenty-four hours. Still, nothing’s more stressful than murder. . . .
Local celebrity Rory Hendricks is the hotheaded, hard-rocking former frontman of the Rebels—and Abi’s girlhood crush. After meeting him in person, Abi can’t say no to anything he asks, like photographing his upcoming show . . . or figuring out who’s trying to kill him. Turns out someone’s been bumping off his old bandmates, with the drummer dead under mysterious circumstances and the keyboardist in a coma following a hit-and-run. Now a series of threatening messages leads Rory to think he’s next on the chopping block. And the band has a devil’s share of broken hearts and bitter disputes in their past, leaving Abi a huge batch of suspects to sift through—all before the killer takes another shot." Series: #2 in the Lady Sherlock historical series set in Victorian London. Synopsis: "Being shunned by Society gives Charlotte Holmes the time and freedom to put her extraordinary powers of deduction to good use. As “Sherlock Holmes, consulting detective,” aided by the capable Mrs. Watson, she’s had great success helping with all manner of inquiries, but she’s not prepared for the new client who arrives at her Upper Baker Street office. In the meanwhile, Charlotte wrestles with a surprising proposal of marriage, a mysterious stranger woos her sister Livia, and an unidentified body surfaces where least expected. Charlotte’s investigative prowess is challenged as never before: Can she find her brother in time—or will he, too, end up as a nameless corpse somewhere in the belly of London?" Series: #3 in the Magic Men historical series set in 1950s England and America. Synopsis: "Elizabeth II’s coronation is looming, but DI Edgar Stephens is busy investigating the death of a local fortune teller. Meanwhile, his old pal, the magician Max Mephisto, is rehearsing for his television debut, a Coronation Day variety show. But upon hearing that their wartime commander, Colonel Cartwright, has been found dead in his flat, the two men join forces to find out what happened. While Max is stuck in rehearsals, Edgar finds himself heading to New York, hot on the trail of a mesmerist he’s sure has valuable information for them—and his trusty sergeant, Emma, investigates some important leads at home. As the clock ticks down to Coronation Day, the team must scramble to keep Max’s small-screen debut from ending in a dangerously explosive finale." Series: #8 in the Vera Stanhope police procedural series set in northern England. Synopsis: "A visit to her local prison brings DI Vera Stanhope face to face with an old enemy: former detective superintendent, and now inmate, John Brace. Brace was convicted of corruption and involvement in the death of a gamekeeper – and Vera played a key part in his downfall. Now, Brace promises Vera information about the disappearance of Robbie Marshall, a notorious wheeler-dealer who disappeared in the mid-nineties, if she will look out for his daughter and grandchildren. He tells her that Marshall is dead, and that his body is buried close to St Mary’s Island in Whitley Bay. However, when a search team investigates, officers find not one skeleton, but two. 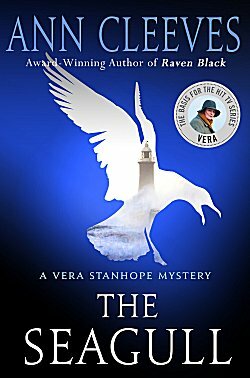 This cold case takes Vera back in time, and very close to home, as Brace and Marshall, along with a mysterious stranger known only as ‘the Prof’, were close friends of Hector, her father. Together, they were the 'Gang of Four’, regulars at a glamorous nightclub called The Seagull. Hector had been one of the last people to see Marshall alive. As the past begins to collide dangerously with the present, Vera confronts her prejudices and unwanted memories to dig out the truth . . ."
Series: #13 in the Sheriff Walt Longmire police procedural series set in Wyoming. Synopsis: "Sheriff Walt Longmire is enjoying a celebratory beer after a weapons certification at the Wyoming Law Enforcement Academy when a younger sheriff confronts him with a photograph of twenty-five armed men standing in front of a Challenger steam locomotive. It takes him back to when, fresh from the battlefields of Vietnam, then-deputy Walt accompanied his mentor Lucian to the annual Wyoming Sheriff's Association junket held on the excursion train known as the Western Star, which ran the length of Wyoming from Cheyenne to Evanston and back. Armed with his trusty Colt .45 and a paperback of Agatha Christie's Murder on the Orient Express, the young Walt was ill-prepared for the machinations of twenty-four veteran sheriffs, let alone the cavalcade of curious characters that accompanied them. The photograph—along with an upcoming parole hearing for one of the most dangerous men Walt has encountered in a lifetime of law enforcement—hurtles the sheriff into a head-on collision of past and present, placing him and everyone he cares about squarely on the tracks of runaway revenge." Series: #2 in the Sherlock Holmes Bookshop cozy series set on Cape Cod, Massachusetts. 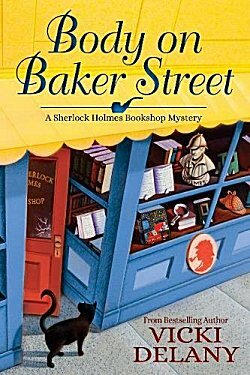 Synopsis: "Gemma Doyle and Jayne Wilson are busy managing the Sherlock Holmes Bookshop and Emporium on Baker Street and adjoining Mrs. Hudson’s Tea Room in anticipation of the store’s upcoming book signing with the illustrious Renalta Van Markoff, author of the controversial Hudson and Holmes mystery series. But during the author Q&A session, dedicated Sherlockian Donald Morris verbally attacks Renalta and her series for disgracing Sherlock’s legacy, only to be publicly humiliated when the author triumphantly lashes back and gains the upper hand. That is until Renalta collapses on the table―dead. Donald insists he didn’t do it and pleads to his friends to clear his name. Fortunately, Gemma and Jayne have no shortage of suspects between author’s bullied personal assistant, her frustrated publicist, the hapless publisher, a handsome rare book dealer, an obsessively rabid fan, and a world of other Sherlock enthusiasts with strong objections to Renalta’s depiction of the Great Detective. It’s up to the shrewd sleuthing duo to eliminate the impossible and deduce the truth before the West London police arrest an innocent man in Body on Baker Street, the second Sherlock Homes Bookshop mystery perfect for fans of Miranda James and Kate Carlisle." Series: #2 in the Teddy Creque police procedural series set in the British Virgin Islands. 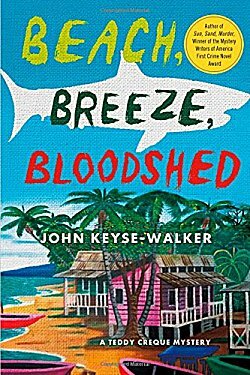 Synopsis: "After barely surviving the first criminal investigation in living memory on the sun-drenched British Virgin island of Anegada, Constable Teddy Creque has spent the past six months trying to weather the aftermath, and move on with his life. Now, with a promotion and a medal of honor, he’s newly committed to the job. So when a young woman dies in a shark attack off the coast of a neighboring island, Virgin Gorda, Teddy is happy to help when Deputy Commissioner Howard Lane orders him to capture the man-eater. But when Teddy arrives on Virgin Gorda, he begins to suspect there was human foul play involved, too. After all, the sharks around the idyllic island aren’t known for attacking humans, and there are some oddities at the scene. Unfortunately, while Teddy is convinced that the woman’s death wasn’t accidental, not everyone on the island takes kindly to his meddling, and he’s forced to be creative in his pursuit of justice. In unfamiliar territory, and with his sole witness a silent child who communicates in unorthodox ways, Teddy must earn the trust of the reserved residents of the touristy island, tangle with a loquacious parrot, and follow the clues which might lead him directly into the path of a killer." Series: #1 in the Roger Blanc police procedural series set in Provence, France. Synopsis: "Capitaine Roger Blanc, an investigator with the anti-corruption-unit of the French Gendarmerie, was a bit too successful in his investigations. He finds himself removed from Paris to the south of France, far away from political power. Or so it would seem. The stress is too much for his marriage, and he attempts to manage the break up while trying to settle into his new life in Provence in a 200-year-old, half-ruined house. At the same time, Blanc is tasked with his first murder case: A man with no friends and a lot of enemies, an outsider, was found shot and burned. 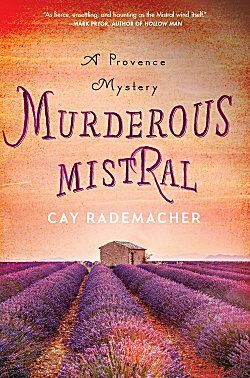 When a second man dies under suspicious circumstances in the quaint French countryside, the Capitaine from Paris has to dig deep into the hidden, dark undersides of the Provence he never expected to see." Series: #1 in the Verity Kent historical series set in post-World War I England. Synopsis: "England, 1919. Verity Kent’s grief over the loss of her husband pierces anew when she receives a cryptic letter, suggesting her beloved Sidney may have committed treason before his untimely death. Determined to dull her pain with revelry, Verity’s first impulse is to dismiss the derogatory claim. But the mystery sender knows too much—including the fact that during the war, Verity worked for the Secret Service, something not even Sidney knew. 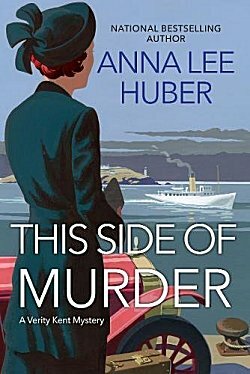 Lured to Umbersea Island to attend the engagement party of one of Sidney’s fellow officers, Verity mingles among the men her husband once fought beside and discovers dark secrets—along with a murder clearly meant to conceal them. Relying on little more than a coded letter, the help of a dashing stranger, and her own sharp instincts, Verity is forced down a path she never imagined—and comes face to face with the shattering possibility that her husband may not have been the man she thought he was. It’s a truth that could set her free—or draw her ever deeper into his deception . . ."
Series: #9 in the Bess Crawford historical series set in World War I England. 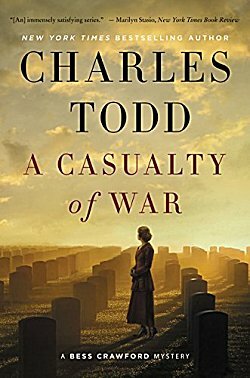 Synopsis: "From New York Times bestselling author Charles Todd comes a haunting tale that explores the impact of World War I on all who witnessed it—officers, soldiers, doctors, and battlefield nurses like Bess Crawford. Her search will lead this smart, capable, and compassionate young woman into unexpected danger, and bring her face to face with the visible and invisible wounds of war that not even the much-longed for peace can heal." This month's selection is certainly stellar. 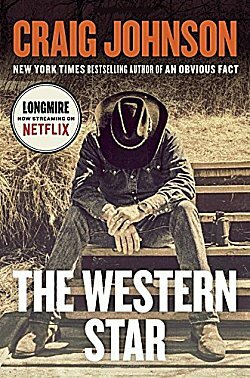 I've been waiting impatiently to get my hands on Craig Johnson's The Western Star ever since I heard him talk about it during one of his Poisoned Pen appearances. Before I go, I'd like to talk covers for a minute or two. Which covers stand out the most to you? For me, it's Death Distilled and Murderous Mistral, with A Casualty of War coming in as the saddest. Now I only have one more question: Which books did you add to your own Need-to-Read lists? Inquiring minds would love to know! Excellent titles. I've read two of them and making a note of a few others. I've already preordered the Craig Johnson and Elly Griffiths books. I've preordered Johnson's, too, but mine will come with an autograph inside. He's a keeper! I think the Ann Cleeves is good, a few others look tempting. But I'm now reading "The Right Side," which took me awhile to get into. I really don't like to read about war and the military, as that's in the news every day and I like to avoid it in my reading, but Leanne is a very interesting character. I'm learning about what PTSD can do to a person and how it manifests itself. Also, I like Goody. And I wish I were in Washington state now in the country. Washington state is beautiful. I particularly love the Olympic Peninsula. I'm glad you're enjoying The Right Side. Leanne is a wonderful character, and I wouldn't mind having Goody as a partner either. Finished The Right Side. Glad Leanne saved the day. However, I just don't like war scenarios, the brutality of both sides, the deaths, the callousness all around. And now the Pentagon sent thousands of more troops to Afghanistan. When will it end? More death of innocent people, bombs, destruction. I try to avoid reading about this but I liked Leanne as I said, and her story to recover and find a way to relate to people and she did, and dog therapy helped. However, I wished she'd stayed in Belleville and had a romance and a life with roots and Goody. I'm tempted to read some of Quinn's other books for fun. If you're a dog lover, you should enjoy Quinn's Chet and Bernie series. Perfect light reading after a more troubling tome. Yes, and playing "fetch" with the neighbor's dog -- I "fetch," while she tries to outmaneuver me. She usually does. I enjoyed David Rosenfelt's "Collared," a sort of legal mystery with dogs, but they are dogs, don't solve crimes. But the wit is outstanding. I laughed out loud. More to come on those books. Chet is very much a dog. Bernie does the crime solving while Chet tells us all about it. Quinn is brilliant with his canine narrator.